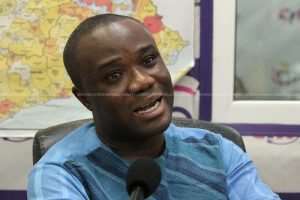 A Former Deputy Communications Minister, Felix Kwakye Ofosu has described as a misplaced priority the introduction of the new school uniforms by the New Patriotic Party(NPP) administration. Speaking at the campus lecture series at the University of Cape Coast, he pointed out that there were more pressing issues in the educational sector that require urgent attention than the introduction of a new school uniform. He explained that more pressing issues like teachers writing examination questions on the board, and inadequate infrastructure for students should be the government's focus. “As I speak to you, we are facing the horrible situation of teachers struggling to answer exam questions. School uniforms have been outdoored for basic school children. As if this is the most pressing issue that we have. Everyday, we are confronted with the horrendous sector of children sitting on cement blocks or lying on the floors to write…There are many issues that have not been fixed,” he said. The announcement was made by the Director-General of the GES, Prof Kwasi Opoku Amankwa at a press conference. One teacher from each of the country's districts is also expected to undergo training on the new curricula which will come into force from September 2019. Meanwhile an educationist, Annis Hafar has backed the GES’s decision.